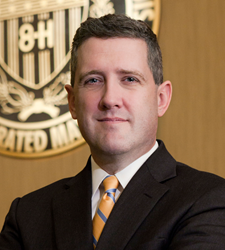 In Nashville, St. Louis Fed President James Bullard said recent inflation outcomes have been unexpectedly low. He also discussed other aspects of the U.S. economy, including the trend real GDP growth of 2 percent. Federal Reserve Bank of St. Louis President James Bullard gave remarks on “A Low Inflation Surprise for U.S. Monetary Policy” at the 2017 conference of America’s Cotton Marketing Cooperatives on Monday. After providing a brief background on the Federal Reserve, including its decentralized structure and the role of the Federal Open Market Committee (FOMC), Bullard noted that the FOMC’s goals include good labor market performance and an inflation target of 2 percent. “Financial stability is sometimes considered as an additional goal, but can be more directly addressed through regulatory policy. This remains a hot topic,” he said. He then turned to some key aspects of today’s macroeconomic situation. In particular, he examined the low-growth regime in the U.S. since the recession. He also discussed recent inflation outcomes, which he said “have been unexpectedly low,” and their connection to global commodity markets. In addition, he looked at whether the low U.S. unemployment rate means that inflation is about to increase substantially. Regarding the global economy, he discussed the impact of upgrades to the global growth outlook on the U.S., specifically implications for the value of the U.S. dollar. Bullard also addressed what the current macroeconomic situation means for the policy rate (i.e., the federal funds rate target). “The current level of the policy rate is likely to remain appropriate over the near term,” he said. In looking at U.S. economic growth, Bullard said data since the financial crisis suggest that the U.S. has converged to real GDP growth of 2 percent, which is slow by historical standards. “Second-quarter real GDP growth showed some improvement from the first quarter, but not enough to move the U.S. economy away from a regime characterized by 2 percent trend growth,” he said. Real GDP grew at an annual rate of 1.9 percent in the first half of 2017. “The 2 percent growth regime appears to remain intact,” he added. Turning to inflation, Bullard noted that the U.S. inflation rate has been below the FOMC’s 2 percent inflation target since 2012. “Recent inflation data have surprised to the downside and call into question the idea that U.S. inflation is reliably returning toward target,” he said. He also examined several inflation measures that try to control for particularly volatile movements in individual prices and noted that those readings have been lower this year. Bullard added that global commodity prices have been an important factor affecting U.S. headline inflation. “Crude oil prices, in particular, tend to influence the headline inflation rate,” he said, adding that global commodity prices are sensitive to perceived and actual supply and demand developments in the global crude oil market. Another factor may be the financialization of global commodity markets in recent years, which may have made many commodities more highly correlated with oil prices than they otherwise would have been, Bullard noted. Turning to global growth, Bullard noted that the International Monetary Fund upgraded its world economic outlook for 2017, with key upgrades for Japan, Europe and China. “The value of the U.S. dollar has declined in 2017, a consequence of the brighter growth outlook for Europe and expectations for a somewhat more hawkish European Central Bank,” he added.